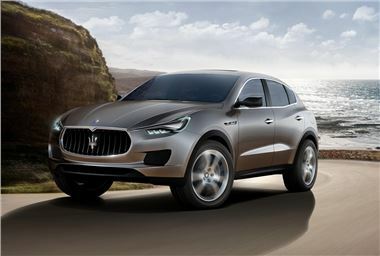 Italian sports car manufacturer Maserati has premiered a new premium SUV called the Kubang. It’s the first SUV Maserati has ever made, after a long lineage of sporty saloons and two-door sports cars. Engines, drivetrain, gearboxes and all other aspects of the Kubang will be developed in house at the HQ in Modena. Maserati hopes that the Kubang will strengthen the brand, much in the way the Cayenne has for Porsche. Specific engine details and dates for launch are as yet unavailable, but stay tuned for more information.